The Snow Child in Lithuania. A well. Sam and I are in the midst of scheduling the drilling of our well this summer. It’ s an exciting but somewhat daunting prospect. Some of our neighbors have 100-foot, clear running wells, while others had to blast through bedrock and go down more than 300 feet. And there’s no guarantee you’ll ever hit water. But we’re going to cross our fingers and hope for the best. I’ll keep you posted … I promise. Have you seen the snow child? Some time ago I mentioned wanting people to submit photos and images of the snow child — snow sculptures, maybe drawings or artwork that called the fairy tale to mind. Many readers have been posting fabulous images on The Snow Child Facebook page. It has been wonderful to see all the different interpretations, images of fox and ice princesses and much more. If you would like to share an image, please post it on the Facebook page. Faina travels the world. This week I got news that The Snow Child will be published in China by OmniBook in Taipei. In addition, the English language version distributed by my UK publisher Headline has made its way to India. That brings us up to more than 20 languages and around 30 countries, that I know of. 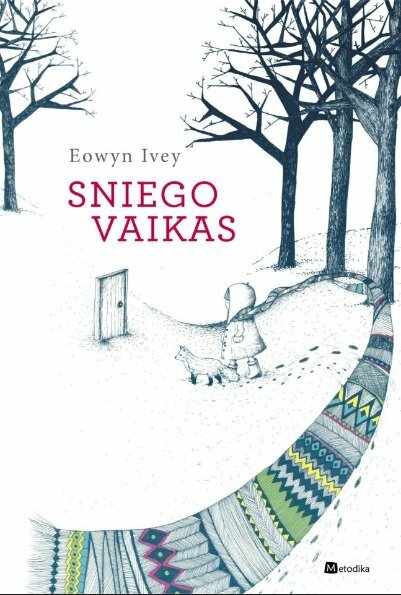 Last week a reader posted an image of the Lithuanian cover on The Snow Child Facebook page. What an amazing journey Faina has taken us on! So now that I’ve caught up on a few things, I was wondering — is there anything else I’ve forgotten? Do you have any questions for me? Just one question. When is a good time to up? Sutton Elementary didn’t get their ice rink this winter either. We couldn’t keep up with the snow! Hopefully next year! Oh, I’m sorry to hear that. It was definitely more of a sledding than ice skating winter this year. Have you thought of getting a water diviner in to check there’s water there before you start drilling. Funny you should ask — we are going to do just that. Personally, I’m a bit of a skeptic, but at the same time I figure it can’t hurt to have someone come out. Many people I know have used well witching with good success. Ahhhhhhhh!!! Another cover to covet! I would like to know if you are writing another book? I am, and thank you for asking. To be honest, The Snow Child is keeping me surprisingly busy considering it’s already written. But I’m hoping this next winter to have some quiet time to get back to writing my next novel. That’s wonderful to hear, I can well imagine how the continual publicity of ‘The Snow Child’ must be keeping you busy. I hope that beautiful wilderness continues to inspire you. Thank you for the response. I have no doubt ” The Snow Child” is destined to be a classic. My only regret in reading your story, is that there is no more of the story to read. I’ve read a few books since coming to the end of yours and while the stories and writing were entertaining, I found my mind drifting and missing “The Snow Child”. I’ve shared my copy within my family, and although we have very varied taste in reading material we all agree that your book is very special. Thank you for your wworwork. I hope you have another tale to bring to life . I agree, I miss ‘The Snow Child’ and I almost don’t want to say it because I prefer to fantasize, but in my imagination I like to keep her alive and think beyond the end; like the story itself, nothing is definitive, or needs to end, certainly the spirit of the story continues on. Re: audio books- try listening to Nation by Terry Pratchett, an enchanting listen and so well told by the reader….since I loved Snow Child, I think you will love Nation too…. The owner of the bookstore where I work is a Terry Pratchett fan, and I’ve always meant to read him. Thank you for the recommendation.